The Bartholomew the Adventurer Trilogy is a romping tale of adventure set in the far distant future after humans have vanished from the planet. The Bartholomew the Adventurer Trilogy and Orville Wellington Mouse series are multi-leveled stories readers have compared to Chronicles of Narnia, The Hobbit, and Neverending Story. The books have underlying themes of ethics, metaphysics, philosophy, quantum physics, and spirituality. The Thirteenth Monk Oliver T. Rabbit develops a revolutionary new invention and Edmund the Rabbiton develops an inexplicable new phobia. When Edmund unwittingly opens an interdimensional doorway, Bartholomew, Oliver, and Edmund are pulled into the strange world of Nirriim. 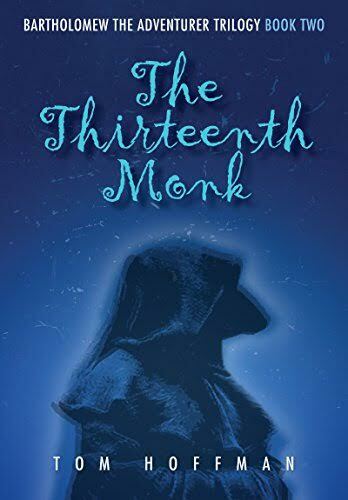 Edmund encounters the enigmatic thirteen Blue Monks, Master Singers of Nirriim and relives a life changing traumatic event which occurred fifteen hundred years ago during the Anarkkian Wars. With help from Ennzarr the Red Monk, the eerie Blue Spectre, and two unlikely treasure hunters named Thunder and Lightning, the three adventurers must find the lost Seventh Key and defeat the inconceivably powerful Wyrme of Deth or be trapped forever in the world of Nirriim.